A couple weeks ago I saw an idea on facebook shared by a friend (thank you Joan!) 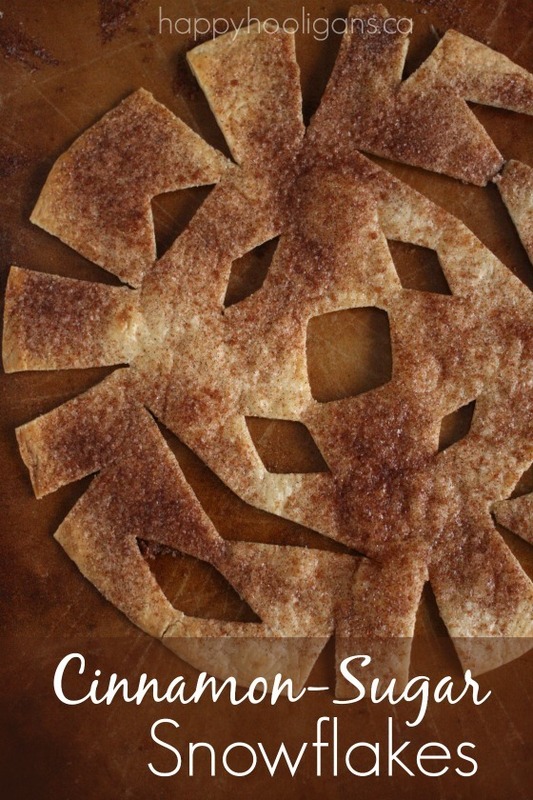 This idea was for taking flour tortillas and cutting them into snowflakes - like you do with paper - and then topping with butter and cinnamon/sugar sprinkles. Bake in the oven at 350 degrees for five to ten minutes and then you will have a tasty, fun surprise the grandchildren are sure to enjoy! I took this idea and instead of making snowflakes, I cut a smiley face in each tortilla - the grandsons found them tasty . . . my youngest grandson said they were "so delicious!" 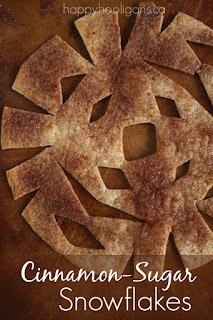 If you have not tried this tasty treat with your grandchildren - give it a try!